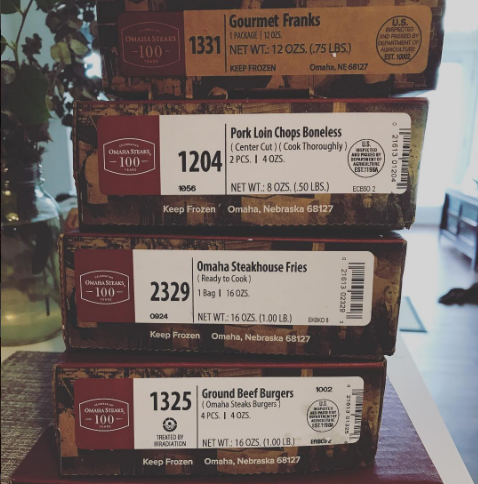 My Omaha Steaks Review - How Did They Taste? I remember the first time I saw Omaha Steaks. I think it was in a magazine. The steaks looked thick, juicy, and succulent. I knew that they had to look good for their marketing material, but I was skeptical. I stayed on the fence and didn’t order from them for a long time. But recently they had some pretty good deals, so I pulled the trigger and bought quite a bit of food. Omaha Steaks tends to be a little on the high-end side, so I expected a decent quality steak from them. I was not disappointed. I’m used to meats from Wal-mart, Costco, my local butcher, etc. so having something like this was a pretty nice change of pace. I was worried that a frozen steak wouldn’t keep as good of a quality as steaks at the local supermarket, but I ended up discovering that a lot of the meats at the local market are frozen anyway. And that makes sense- the meats have to be stored somehow, right? I will tell you that if you’re going to buy meat, make sure you get something that is “USDA Prime” or “USDA Choice”. I don’t mean something that’s stamped just “prime” or has “choice” the name. I mean the official, real-deal “USDA Prime” stamp. The steaks are flash-frozen to provide maximum shelf life and they get sent to the customer in a vacuum-sealed package. I imagine that this process preserves the steak’s quality, flavor, and freshness. The steaks had great marbling and texture, probably because the cattle is grain-fed. Grain-fed beef tends to be fattier, tastier, and the preferred choice of people who really know their steak. Grass-fed beef is okay, too. It tends to be lower in calories, but it just doesn’t taste as good as grain-fed beef. Omaha Steaks has been selling grain-fed beef for many years, so I knew I couldn’t go wrong. The filet mignon was more or less average. It’s one of the best cuts you can get, so that’s saying a lot. I feel like I’ve been spoiled in this regard, since I’ve had steaks at many high-end restaurants, including Michael Jordan’s steakhouse. Side note: if you ever get a chance to go to Michael Jordan’s steakhouse, please go! It’s amazing and well worth the price. The burgers were pretty good, and I had the steak fries with them. They were definitely some of the better burgers I’ve had. And at the time of this writing, I haven’t cooked the pork chops or the franks. But what really surprised me were the steaks. The Omaha Steaks top sirloin and New York strips were some of the best I have ever had. They were DELICIOUS. How Long Are Omaha Steaks Good For In The Freezer? Uncooked roasts, steaks, and chops should be tossed after a year in the freezer. Uncooked ground meat should be tossed after four months in the freezer. Frozen cooked meat should go after three months. Just to be on the safe side, I never let my meats go that long. Besides, who really keeps steak for a year anyway? Don’t get it if you’re not going to eat it. The stuff that I did cook and didn’t eat that night, I just kept in the fridge and had as leftovers the next day. Don’t thaw at room temperature. Thaw in the fridge. This allows for juicier, more flavorful steaks. Meats should be defrosted in the fridge for 3 to 7 hours per pound. If you really can’t wait that long, thaw your steaks in cold water while they’re still in the wrapper. Filet Mignons will take around 30-45 minutes to thaw this way. You CAN thaw your steaks in the microwave, but they won’t taste anywhere near as good. 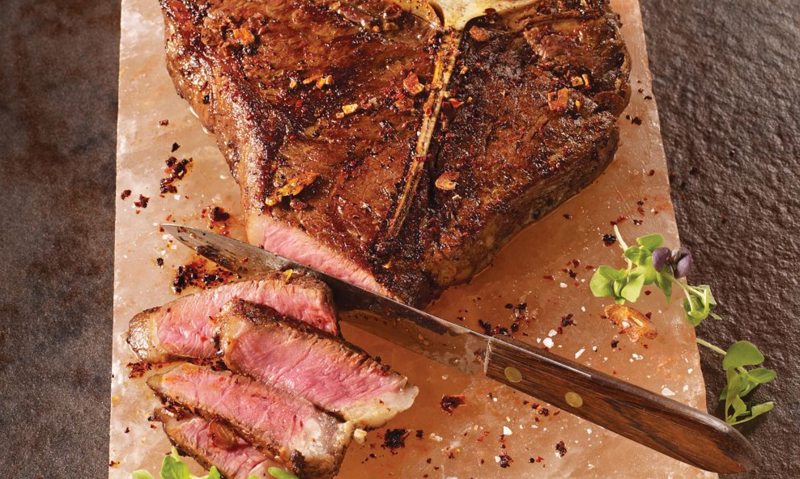 How Do You Cook Omaha Steaks? Heat a small amount of oil in a large ovenproof pan over high heat. Put the meat in the pan and sear for two or three minutes or until it’s well browned. Flip the meat and put the pan on the lower rack of the oven. Cook until done – make sure the meat is an appropriate temperate based on how well-done you want the meat. (Medium rare is 130-140 degrees, medium is 140-150 degrees, well done is 160-170 degrees). Nobody should eat their meat rare, I’m just saying. Omaha Steaks has awesome customer service. When I did some research on them, I found some negative reviews online of people explaining that they didn’t like the packaging or meat or whatever. That’s confusing to me because they offer a 100% customer satisfaction guarantee. If you don’t like their product, take advantage of the guarantee. It’s there for a reason. In the time since I started ordering from them, I’ve only gotten one order than didn’t seem as good as the rest (but it was still delicious). I sent them an email letting them know about it and they sent me new steaks within that very same week. That’s just awesome. Also, while I’m much more likely to email a company (since it tends to be faster and easier), everyone there seems to be competent on the phone. I’ve only called them once or twice, but they do have wonderful customer service reps that will take care of your every need. If they do mess up, they will admit it and make it right. 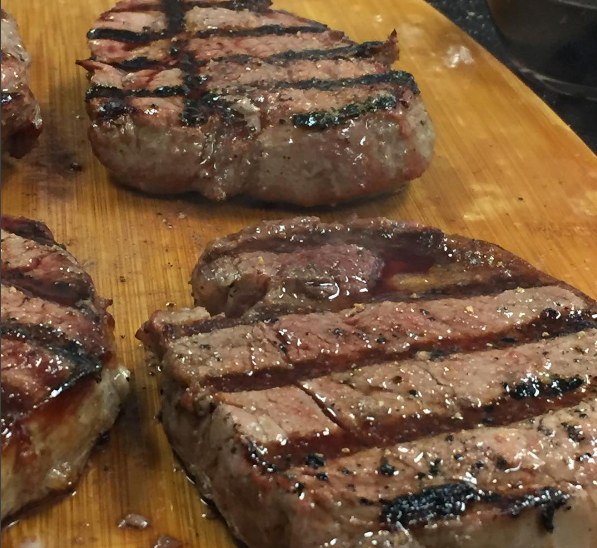 So there you have it – that’s my Omaha Steaks review. If you’re going to get anything from them, go ahead and get their steaks. It’s what they’re known for. They’re not Omaha Burgers or Omaha Franks. They’re Omaha Steaks for a reason. ​P.S. If you're interested, they have some pretty good specials going on right now. Check them out here.